Author Patrick Lencioni is tired. Tired of businesses complaining that hiring Millennials is difficult and that they are an untrustworthy generation. In his book The Ideal Team Player, Lencioni reminds that Millennials are like any other workforce when you approach your hiring process with three simple, timeless and observable virtues; Humility, Hunger and Smartness. Majority of the Millennials are humble and capable of caring for others and enjoying their team’s success. They have desire and willingness to work hard, to reach new grounds. Lencioni’s definition of smartness relates to teamwork and people’s ability to understand how their actions impact others. These three virtues are the key point to any good worker and they are especially beneficial for efficient team work. “Companies that place a high priority on teamwork, on finding people who are humble, hungry and smart, will have no problem with them, or with any other generation for that matter,” Lencioni simply states in his blog Enough About Millennials. How to catch Millennials attention? 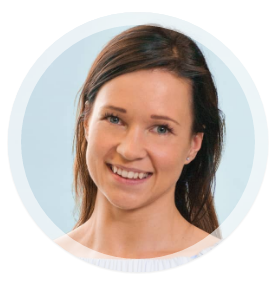 Whilst Millennials gravitate towards companies which have a meaningful mission for a better tomorrow, offer flexible work arrangements, offer support for balancing life and work and which also have routes for the Millennial employee to advance in their career, you first need to catch the attention of a talented Millennial employee. Three main points for finding and hiring Millennials are social media, social media and social media. That’s where you’ll find modern talents and that’s where the Millennials look for job opportunities and more information about possible employers. American Press Institute says that around 88 % of Millennials are using social media daily. Millennials are pretty much always plugged and logged in with their smartphones – just look at the general street view with their noses stuck on their phone screens - so your hiring process will get most visibility on social media platforms. Being present on social media gives you an opportunity to reach a wider audience, as Millennials share freely their likes, favorite places, experiences and life events. If they have positive experiences with you, they will share news about it, spreading information about you to other possible recruits. Your open job posts will also be shared freely. Video recruiting is also something which works with Millennials. 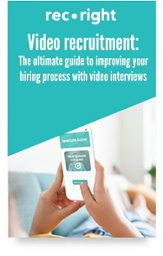 Whether it’s about you interviewing them or showing your business via video, you can be sure it’s more effective than a faceless hiring process. You can include short videos on your website, for example of your founders explaining how they started the business, the fast growth of the business, as well as the company vision and future. You can check more tips on how to introduce your company culture via video from our previous blog. Try text messages. Millennial generation is used to texting and they text a lot, so why not try to reach them by leaving them a text message? Not a very typical recruiting method, but it works efficiently with Millennials. Their typing fingers are glued on their phones already so use that to your advantage and approach them in a relaxed manner, as if they were your neighbors. Try video messaging. At least the youngest millennials are used to talking to camera and recording themselves so why wouldn't you invite them to the face-to-face interview with a video message? Contact us, if you are interested in learning more about recruiting millenials using video interviews!